References – Kidshelp Kambodscha e.V. When we first travelled to Cambodia, my wife and myself were not only fascinated by the country and its people, but also shocked how many children could not go to school because they had to work. 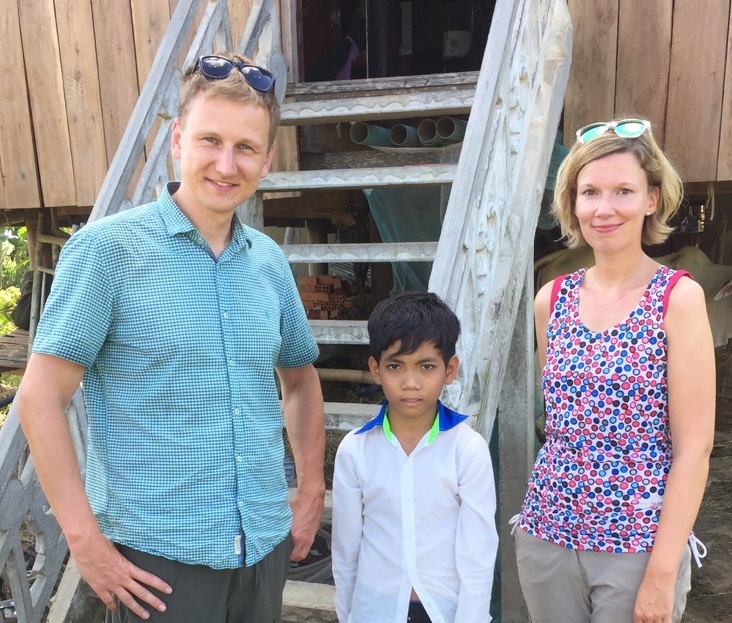 When we got back, we started searching for a possibility to help and found out about “Kidshelp Kambodscha e.V.” We really liked the personal contact with the association and that we were able to take over the sponsorship without too much bureaucracy. Last year we even visited our supported child which gave us the possibility to see where the children live and where they go to school. We were really excited by the commitment of the staff in Cambodia and even decided to support another child. Just after signed in for a sponsorship for a school child I had the chance to visit my sponsored child during a trip to Asia. Apart from this very personal experience, I had the chance to witness first-hand the great work and the personal involvement on site. It is an great feeling to be certain that the help really gets there where it is badly needed.